Customers purchase products and receive points for the orders that can be redeemed for future orders. As the points can expire (this depends on the settings you select), customers make new orders sooner. As points can be provided for “purchase-associated” activity - registration, visiting the website, reviews - customers visit your store more often that stimulates their interest and purchases as well. Points can be provided for referrals, there is ability to share balance with friends - this is a source of new leads for your store from your current customers. Advanced settings are for you to create the balance/rewards system you are looking for - you can easily manage rewards’ rules and temporary promotions, set points-money conversions, set rewards for products in bulk or individually. WYSIWYG email templates are convenient to create. Your customers will have a special area with their balance. 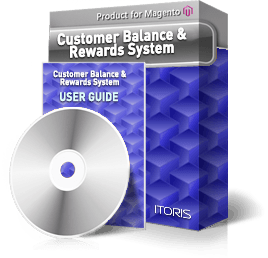 Detailed history, ability to convert points into credits and vs, top up the balance, share credits with friends as well as earn points for purchases and website activity make the functionality attractive and stimulate purchases and activity on the store.